In sum, Resistance is a metaphor for every fear, every doubt, every conviction that we’re not good enough, not well-trained enough, that we lack credibility – that we lack worth. So What’s the Point of the Lizard Book? 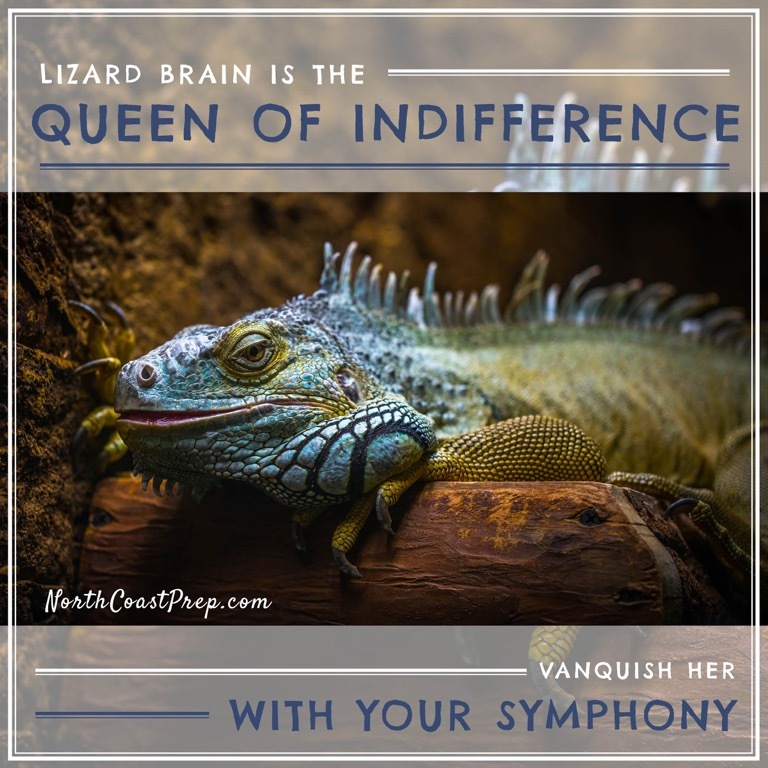 Lizard Book, Volume 1 is all about confronting the lizard brain (a personification of Resistance). 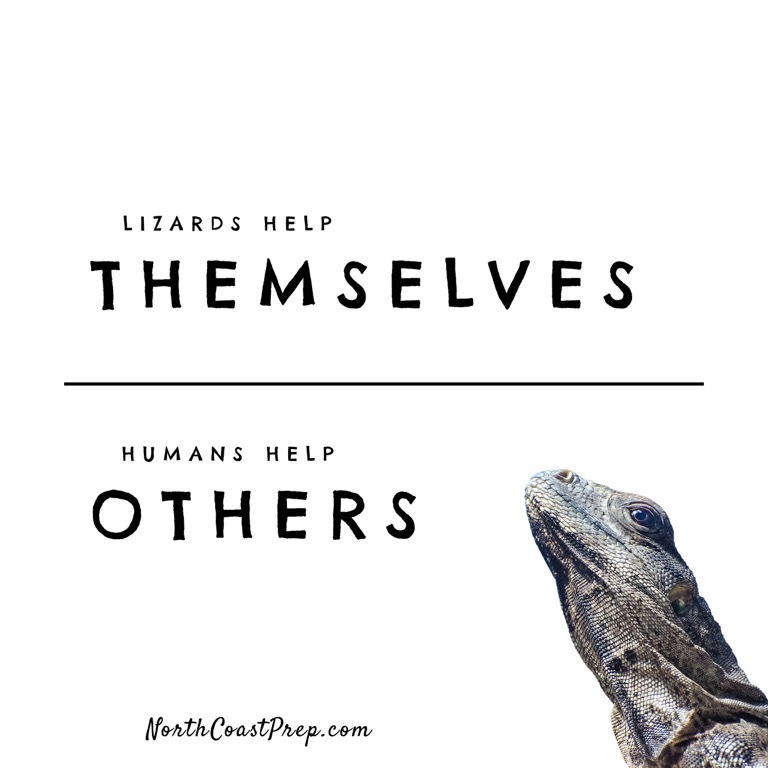 Its goal is to help you recognize where the lizard pops up (say, when you pull out a pencil to draw something unique and personal) and what it sounds like (in this case, “Don’t do it! You’re a crappy artist! Nobody wants to see what you create.”). 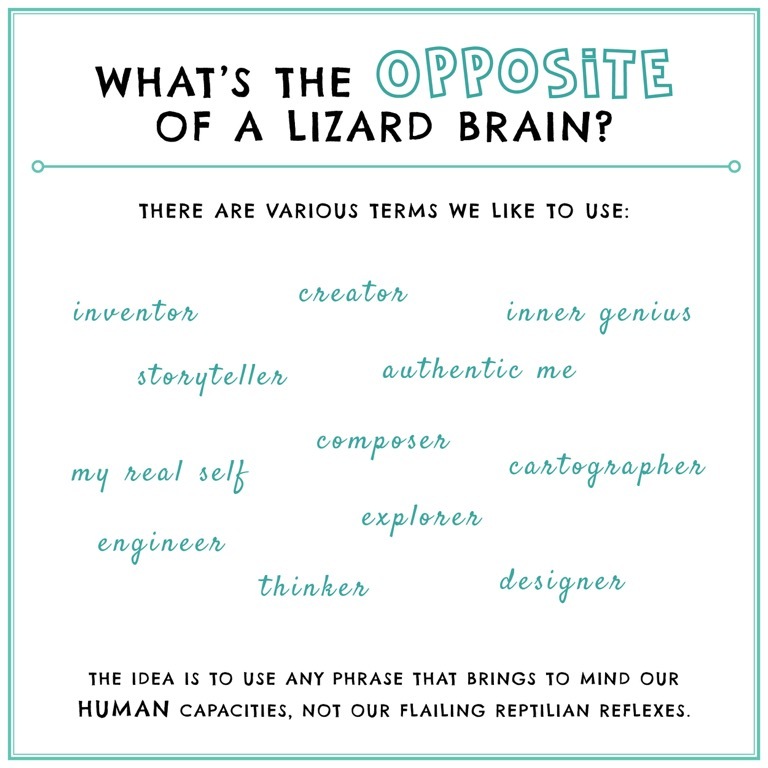 Lizard Brain, 99.999% of the time, is lying to you. It has evolutionary reasons for existing, but is almost entirely irrelevant to your daily context, and does nothing but drag you down and destroy your potential. We hope this book can serve as a tool to recognize and defend yourself from that slimy, scaly lizard in your brain – the internal Resistance which too many of us treat as the gospel truth. Massive opportunities will open up before you if you can just call out your fear for what it is: lizard brain. Nothing more, nothing less. Check out the eBook on the iTunes store!